To begin my tale I will write down what I found in the book about Fitjar Parish. Under the heading "Merchants in Engesund" there is listed Tolleif Konrad Thomsen. He died at the age of 85 in 1864. He got the deed to the trading establishment from folk on Engesund in 1831, took over the business in 1832. He had been a skipper before, and as such had his license from Bergen in 1819. His residence was at Røen, Tysnes before moving to Engesund. Tolleif had many hardships, among others he had been a prisoner of war in England in the war of 1809 - 1814, and later as a skipper had sailed far and wide. So far the Fitjar book. This gave me a few dates I needed, but there was nothing else I did not know. He was born in Ugdals Parish, Tysnes Island, Sunnhordaland 1779 of God-fearing, but poor parents. His mother, especially, was known for being a devoted Christian. The Thomassens (later Thomsen) are said to have originally come from Øystese, Hardanger, Norway. Like so many of the more enterprising youth of the coast population, he went to sea at an early age. How far he sailed I do not know. Evidently, according to the trade routes of the times, mostly to West European and Baltic harbours. The ship he was on during the war of 1809 - 1814 was boarded and captured in the North Sea, and Tolleif and other unfortunates were taken to England and thrown aboard the ill-reputed prison ships to rot away. They were packed like herring in a barrel. Spoiled and meagre rations, brutal treatment and filth and vermin compounded a misery without description. A protest was made in the English Parliament about the treatment of the prisoners of war. A member stood up and said, "They are our enemies taken in war. Why should we care about what becomes of them ?". Among the prisoners were some ship captains and navigators. They took an interest in their fellow sufferers, and started a school of navigation for those that cared to attend. The study material was very poor, but with self-energy and good will a great deal was accomplished. Many a young sailor received his fundamental instruction that led to a captain's license and an independent career. Tolleif was one of them. After having endured this life for two and a half years, he took advantage of an offer made by the English government to the Norwegian prisoners. England was badly in need of sailors. The offer was that if they would go with an English ship to Iceland after sheep, meat, and wool, they would get their liberty when they came back. They didn't believe too much in the promises, but it was a chance to get out of the misery for a while anyhow. How many responded I do not know, but Tolleif and a man by the name of Hans Helland went along. Hans Helland was said to be from Sogn (a district north of Bergen). Iceland belonged to Norway and Denmark, but laid there as an unprotected land in the North Atlantic, and was often visited by British ships during the long war. Unless I have been wrongly informed a certain number of Danish ships failed there with foodstuffs and grain without danger of being taken by British warships. They made the trip to Iceland and were returning to England when the ship was driven by a northwest storm toward the coast of Norway. The Norwegians aboard had foreseen such a possibility and had planned accordingly. They overpowered the English crew, and shut them in, and set their course for Norway. Before they got there, they were observed and chased by a British man-of-war, but they were able to slip in the rocky coast with their prize. Tolleif, with his share of the prize money, bought a coast vessel. He caught herring, and with it went to the Baltic and German ports, and took grain, mostly rye, and general merchandise back again. He made good money on his voyages. Hans Helland became a merchant in Bergen. Now I will go back for a while and write about the times. The vessel they were on when they were captured and brought to England belonged to a well-known revivalist and preacher, Hans Nilsen Hauge. This man was not only a living witness of faith, but also a very good businessman. When he met young men with ambition and thrift on his wanderings, he gave them a helping hand. Sometimes with good advice, sometimes he made contacts for them with influential people that could help them make a good living, and sometimes with a loan to get a business going. We have to take a look at the times and conditions to fully understand this man, his work and his influence on the Norwegian people. The Norwegian people, especially in the last century of the union with Denmark, were in political coma. They had become accustomed to the Danish or half-German office holders. The clergy, who were closet to the common people, were with few exceptions very worldly, and had little concern for the spiritual welfare of their flocks, the less said the better. A wave of unbelief had reached to the country. The echo of the French Revolution had also reached Norway, but mostly to certain classes. To such conservatively trained people Hauge's message of grace and truth fell down like a bomb. Souls were awakened out of their spiritual sleep, and came to a living knowledge and faith in a living Saviour, and where there was an awakening in the heart for spiritual things a material awakening came also. No wonder officialdom became fearful and arose to arms. They saw the monopoly slip out of their hands. An awakened farmer and working class was the last thing they wanted, and the scorn and persecution began. Then came Claus Friman's attack on Hauge's Book of Sermons for its lack of grammar, poor style, and whatever could be found distasteful. He must be put away, so he could not disturb them. They succeeded in that at last, not on the ground of controversy or doctrine, but as a layman, that he had no right to teach. That in the long years of war 1807 - 1814 he had boiled salt to keep the fish products from spoiling did not help, that he also started other industries to help the working class was of no avail. To jail with him for nine long years! The words of Gamaliel were neither thought of nor listened to. Acts 5:33-41. But the fire that was kindled could not be quenched. Where there is a spiritual awakening, there also is a material awakening, and we find his friends and adherents as leaders and progressives the land over, and later in the lawgiving assemblies of the land. The royal officials feared a voicing of liberality and opposition. So the fight was in full swing. What Hauge's message and work for the Norwegian people has been only eternity will reveal. He was a voice crying in the fisherman's hut down by the fjord, as well as in the farmer's cabin in the lonely mountain valleys. A new time was coming with its many issues, problems, developments, and changes. In such a time torn by war, political, religious, and social upheavals, was Tolleif's life spent. 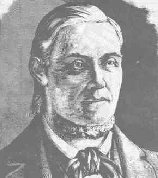 What direct influence Hauge's preaching had on him I can not say, but he was a faithful friend of Hauge and his followers all his life. Tolleif was a man who by his own effort gathered for his time quite a large amount of knowledge, and besides built up quite a good business. He, a poor boy from Tysnes, bought the trading establishment at Engesund in Fitjar. A trading post was quite a diversified business in those days. The ordinary shore trade consisted mostly of fishermen's utilities, such as oilskins, coffee, sugar, soap, syrup, a few rolls of calico and bright-coloured ribbons for the womenfolk. The tobacco came sewed up in big mats. As it was sold the leaves were picked off and rolled up in a bundle and a string tied around it and weighed out to the customer. Besides this, there was a large bakery as the fishermen bought quite large quantities of ship's provisions and hardtack. There was the whiskey also, established by the law. On the same counter with the bread, syrup and coffee, were several mugs for beer or ale as it was called, and also a couple of pint measures for whiskey. It was tapped from the barrel and given to the fishermen who drank it out-of the measure, and left it on the counter for the next customer. Germs were not known in those days. Everybody drank out of the beer mugs the same way. Salt, tar, grain, ropes, hemp for the fishermen's nets and other gear were sold down at the warehouse. Besides this there were hotel accommodations for the travellers, and what was so much needed along the coast, the bunkhouse. The bunkhouse, was a rule, a house by itself, fixed up with beds along the walls and the travelling public could always find shelter there overnight. Those bunkhouses as well as the whiskey and beer trade was demanded by the law and available to all. The price set by law was two cents for a bed overnight and a meal from four to six cents. This seems very cheap now, but money had a greater value at that time. The bill of fare was very simple. Most of the travelling public had their own provision chests along as they sailed along the coast in their boats or fishing smacks. This was long before the steamboats began to traffic the coast and fjords. There was also a courtroom where in the spring and fall the government officials with the district judge at the helm held court, and where taxes were paid, cases tried, and other district affairs were executed. There was an extensive fish trade carried on, and herring salting and shipping, so a good sized coast vessel was needed to take goods to and from the city, and the fish products overseas. So all in all such an enterprise was quite a complicated affair. Now a little story from Tolleif's seafaring days. Once as he was on his way from Bergen to Copenhagen with a cargo of salted herring there was a strong current and a thick fog, and the sloop ran on a hidden tidewater rock near Aga Island in the Selbjørnsfjorden south of Bergen. He got word to the fisher population in a hurry who turned out with large and small boats. They got the herring barrels hoisted out of the fore-hold of the sloop so the bow was lifted out of the water. When the tide went out he was able to get to the hole staved in the planking. This was fixed in a hurry, and as an extra precaution an ox-hide was nailed over the damage, and by floodtide the sloop slipped off the rock. The barrels were loaded again, and he set sail for Copenhagen. He sold the vessel when he arrived there to a Jew. He said nothing of the damage. It was a Christian duty to trick a Jew; a Jew and a cheat were the same thing, of course. (The feeling among most people at that time). As pay, he received a sum of money and a large consignment of trade goods which he shipped home with a northbound ship. Upon his arrival in Bergen, he found the Jew really beat him on the merchandise. "Who can compete with a Jew in a trade?" said Tolleif. After he bought the establishment in Engesund he gave up his voyages. But now he started in with herring fishing in the winter and early spring on a large scale. For years he was known as one of the coast's most energetic and prosperous herring netters. The herring nets were several hundred feet long and quite deep. A net outfit was a large, expensive and risky affair. It was a business with variations. Some seasons there was good fishing, fair weather, and good prices. Other times, stormy weather, no fishing, just expenses and no returns, only loss. The outfit represented a large outlay; the nets were expensive, several large boats were needed for the nets, a smack generally, and a coasting vessel fitted out as a bunkhouse for the crew of about twenty-five to thirty men. They had free lodging aboard the bunk-ship, but had to board themselves which was done on a kind of community basis, all depending on the catch for their pay. Here is an example of how things went at times. For two years Tolleif had fitted out and had nothing but expenses and loss as a result. The third fall he went as usual into Bergen for goods for his store, and his old friend and war comrade, Hans Helland, who he traded with, asked him why he didn't lay in a supply as usual. "I don't dare to outfit this winter; I have had nothing but loss for two years now, and if it goes wrong this year, I am bankrupt. If the seasons turns out good later I will get out in a hurry with some of the smaller nets and maybe get in on something." his friend said, "Not so, you take out full supplies as usual, and I shall not send you my bill before you get a good season. It will come. As long as I have something to sell you, come and take it" Tolleif thanked him and laid in supplies as usual. Herring season came later that year, and they waited a long time before the herring showed up. One day they laid out in the bay and watched for signs of herring, Tolleif noticed there were whales. Several of them went back and forth a little offshore. A sure sign of herring, but the seabirds, gulls and terns, seemed quite unconcerned which showed the herring went deep. Tolleif was out in the bay in a small boat watching the situation and felt the herring on the sounding lead. The herring came in a heavy stream, but they came in deep. Another netter also had the notion that the herring were there, but as long as the gulls didn't notice he did not think they were near enough. "What are you sounding for?" he asked Tolleif. "Oh, it's always important to know how deep it is," was all he got for an answer. To feel the herring on the sounding line was not generally known in those days (1847). Tolleif was sure the herring were there because the press on the leadline was very heavy. When he had assured himself that it was time to throw the net, he rowed over to the boat containing it, and had a whispered conversation with the man commanding it. After a while he rowed out on the bay again. The other netter began to be suspicious, and when he could not see any herring signs that would justify his wetting the big net he rowed over to Tolleif for a chat and tried to pump him about the chances for a haul that day. They both agree that the signs looked slim. Finally Tolleif said, "I believe I will take a dinner nap," and gave the man at the oars a wink that he could row for shore. He rose up in the boat and pulled his coat off, and laid down in the stem. This was the sign agreed upon, and in a moment of time the large net boat driven by eight pair of strong arms came over the bay while the large net rolled over the gunwale and into the sea. The other netter, who saw that he was fooled, yelled to his crew, "Throw, Throw," which they did. Tolleif was angry at the other's attempt to thwart him and to compel him to go into partnership, and told him in no uncertain language about his illegal intrusion. First, ha had had no knowledge about the herring going in the bay, and then he had thrown his net inside Tolleif's. After some quarrel the other gave up. He saw the futility of the case, and the possibility of court proceedings where he had no chance, if it was proven that he had been in the way of another man's catch. There was government supervision, in later years, over the fishing grounds and for decent people it was a good thing. I have heard often from the older people that before they got the government control there was a shameless stealing of nets and gear. Some people would make a practice of being out all night plundering their fellow fishermen's nets, and then get off to some other fishing ground. This was stopped now. The supervision was done from maritime vessel under the command of a navy officer with jurisdiction to judge in common quarrels among the fishing population, and to arrest offenders and turn them over to the legal courts. One of their first order was that all nets had to be set before nightfall, and that none could row out to look at them before daybreak, when the signal was given. This stopped all stealing as all fishing had to be done in the daylight. The control ship followed the fishing population from one fishing place to another all season. Tolleif found out soon that he had made a record with his catch of over 6,000 barrels of spring herring. I have often in my youth heard people date years and happenings after the winter Tolleif made the great herring catch. What price he got I do not know, but he came home that spring with six thousand dollars in his pocket. Now he could pay all his bills, and get things in order. The year after he built a large warehouse for his herring salting, and to house his large nets. It stood in Engesund many years, but later was sold to Bergen for $2,000. It was torn down and moved to Bergen so it must have been some building for those days, when money values were about ten to fifteen times as high as at the present time. When he got home, he like the other fishing outfitters, paid a fishing tithe, a law hated among the coast population. That the parish minister, without the least outlay, should have a large share of their income was very unreasonable. The law was repealed, but not before it had started a real bootlegging system by the fishermen bringing in false reports, and the buyers who cooperated with them in beating the law. Tolleif took $3.00 in his pocket and went to the minister, and put them on the table, and said it was his share. The minister said, "You have fished so much this winter. My share is at least twice as much." "True enough," said Tolleif, "but it is an unrighteous law, and you never have gotten, nor will get, the full amount. I have been operating at a loss for two years, and now that I have something, I should share it with you? You just sit in your office and collect, and we have to risk life and welfare to earn our money. Collect by law if you wish." The minister didn't answer, but took the money. The minister and prelate Claus Frimann, then curate to the Stord, Fitjar and Valestrand parishes, and later elected to the Norwegian Parliament (Stortinget) and church dignitary in Bergen, was a very able man. A man however, that stood upon his dignity and social standing. He and Tolleif were good friends and had respect for each other, but as they were both stubborn and independent they tried to avoid open conflict, just an occasional friendly kick-in the ribs. As an example: After Tolleif was established in Engesund, he built a new more modern living house (it still stands on the place today 2004). The old house that sheltered many generations was now torn down. Fitjar parish was a somewhat barren community out there by the coast, and very little timber grew there. When Tolleif had all in order, he held an auction for the old things from the house. Among other things, there was a lot of windowpanes that were going to be auctioned off. People in the community had built more modern houses with an upstairs and more windows. Some of the folks, half in scorn, called them glasshouses, in contrast to the old-fashioned log-houses where the light came in through a skylight in the roof from which the smoke also escaped. Now there was a change to get cheap windowpanes, and they were grabbed quickly. When the minister came to Fitjar, and heard of it he gave a roaring sermon about the frivolities and vain ideas of the times. Now it was too mean for the common people to live as his forebears did in a solid and warm cabin. No, now they had to have glasshouses, and so they bought old stuff people did not want to use themselves, as they did not have other things more useful to use their hard earned money for. The people shuddered over what they had done. Tolleif had a good laugh. He thought it was fine the minister had a theme to base his sermon on. The criticism was for him, because he had auctioned off the old glass. But in the meantime there came light and windows in the dark dwellings. An establishment like this had to have a lot of working men. In the summer season several men had to go over the big nets that were several hundred fathoms long. Net mending was a work of art. It took weeks to go over and patch every broken mesh. Besides this, there was a good-sized farm on the Island (Enges Island). The place had its name from the Sound between the Island and the larger Stord Island. On some of the smaller islands that belonged to the property he had a fairly large flock of half-wild sheep. They were never house and hustled for themselves the year around. In order to catch them when shearing time came, and if some were to be butchered, they had to be driven into some rocky cleft or enclosure. A number of men had to work at the seafront to prepare the different sea products for export. There was quite a lot of fishing done on a smaller scale during the summer months. So it was a busy life he carried on for many years until old age compelled him to give it up. He turned the business over to the oldest son, but when he didn't prove capable he sold the affairs to an Ole Anda from Stavanger. He had been a widower for many years, and was about 82 years old. He reserved housing and certain privileges for himself on the place. An unmarried niece kept house for him. His children had all left home, and found their own place in life. None of them seemed to have the business ability to take over the establishment. Another factor also entered in, all the age-old trade monopolies were discarded by law. The steamboats took over the coast transportation. A new era was at hand with its quicker tempo. Tolleif's later years were somewhat lonely. The new owners were very friendly, and nice to get along with, but none of his own was near him. He became more and more retiring, something he always was inclined to be. In 1864 when he was sick, word was sent to his next youngest son, Taulerius, who lived farthest away. When he arrived he saw at once that the life's journey was soon over for the aged one. One evening as the son tiptoed to take a look in at him, he saw his hands moving on the quilt as if he was measuring something. He was repeating something over and over. "The length was twelve thousand furlongs and the breadth was twelve thousand." (Rev.21:16). His son closed the door softly, and when he looked in again, the old father had moved on to that city "whose builder and maker is God." He was at that time nearly 85 years old. So ended a busy and interesting life. It fell in a revolutionary and changing time when Europe was quaking to its foundations. Kingdoms fell and shifted around. Republics rose on the ruins of the old. The giant on this side of the Atlantic was born. I have tried to write a picture of the old sailor and fisherman from what his son and others that knew him told me. In my childhood there was an old Danish flag in the attic. The Norwegian Lion with the war axe was inserted in the upper corner. It was, as far as I remember the history of Norway, the flag we got in 1814 and it was replaced in 1824 with the present one. It was old an worn and tattered around the edges. In many sea lanes and harbours it had waved under the gaff of Tolleif's ship to show to the world that the son of a free Norway again shipped on his own deck. Not as of old when their cargo far and wide through the world. There was not much the nation could do during the long years of war 1809 - 1814. What was important was the daily work of each individual. May their memory live. I wrote this narrative of my grandfather's life in the Norwegian language in 1934, but as so many of Tolleif's descendents have found homes and have been grafted into the family tree of this our great United States, I have in my old age (83 years, 1947) considered it wise to rewrite it in English. Most of the younger members of the family do not understand the ancestral tongue. It is my hope that one of the younger generation will rewrite it into a more scholarly form. As we know, all white Americans are descendents of European emigrants, the descendents of the Mayflower party included. Those hardy Pilgrims succeeded in getting a foothold in that Vineland where a Leif Erikson failed 600 years before. The Black Death in 1349 paralysed the Viking enterprise sank into a state of oblivion, from which it did not arise until the first part of the nineteenth century, and then came enterprise and emigration, the inborn desire to see what there was beyond. Tolleif George Thomsen from "Saga from Western Norway"